Creating blogs are a great way for your customers/site viewers to engage naturally with dynamic content. You can also share blog content across your social media accounts, or have it featured on external sites. Both of these options will allow new customers/readers to jump on over to your website and engage deeper through your backlinks. Blogs are social tools, so make your blogs talk to each other, and link to other, relevant posts. 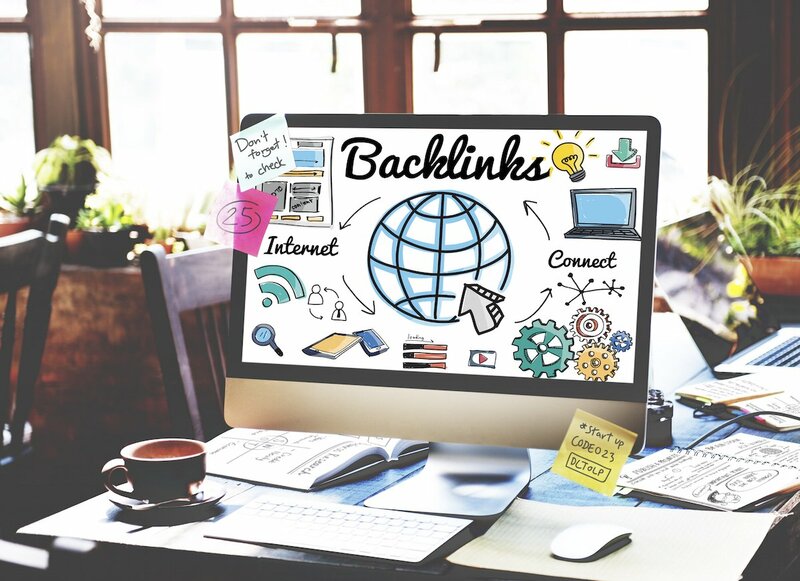 If you include natural backlinks between blogs (like this one), your readers are more likely to dig deeper into your website and find out more. Writing guest blog posts is also a great way to get your message out to the masses in a natural, organic way. Don’t push with the hard sell, communicate with others on like-minded platforms, and watch your follower numbers grow. If you don’t know which outlet to write for, think about the industry you operate in and find industry publications that host community/member posts. Resource lists are a fantastic way to build backlinks, provide helpful content to your readers, and get them moving throughout your website. Creating a comprehensive list of helpful resources not only builds your brand’s credibility as an aware business but adds a bit of diversity between your standard 300+ word blogs. Give your clients a personal plug online – developing case studies about the amazing work you have done with them not only makes the client feel good about themselves, but it makes your business look good too, as the professional goods/services provider. The key rule to this is not to create a case study about all of your clients. Just use the good ones. Make them informative, snappy, and easy to read. Who doesn’t love a freebie? Thinking along similar lines to the aforementioned resources list, creating free tools about your business’ services is another great way to get your customers engaged and involved in your brand. eBooks are a great example of free tools. If you own a financial advisory company, you could create an eBook about budgeting, and inside the eBook, you may have a template to help people work out a weekly budget. It’s little things like this that can offer great potential to your clients. Creative visual content engages more users than any other form of content, including the written word. No matter how good of a wordsmith you may be, if you can post a clever illustration or share a captivating social video, you are significantly more likely to engage with your customers. Think along the lines of cartoons, visualisations, diagrams, infographics, charts and graphs, or videos. You can even repost content from other users you find interesting (particularly on social media); just make sure you seek their permission first. Is interesting or exciting news about your business coming up? Turn your public relations (PR) strategy into an inbound execution. By writing a media release to send out to the immediate industry or community around you, provides incredible potential to create opportunities where you may not have found them before. Simply upload your media release to your website, then share the link to relevant news sites and media platforms. It’s best to send your media release to at least three different organisations, to ensure it gets noticed, and potentially posted. You can build upon this further by releasing joint media releases when your news involves another company. Say you worked on a collaborative project with marketing agency (i.e. Chilli), and you wanted to share the exciting news about your recent rebrand. This would be a great opportunity to release a joint media release, highlighting how great your company’s branding is, and what a good job we did (just a cheeky thought…). Strengthen and build upon your industry relationships with complementary organisations and influencers. This allows you the opportunity to get mentioned on their platforms, and them yours, with very little effort on either party. Go one step further and host competitions, events, or media opportunities, and release the results on each others website or social media. Work together to promote each other, and the product/event/service, with very little extra effort. Consider asking your customers for testimonials and reviews. It’s unethical to post them yourself, but extremely rewarding for your business to receive them. Ask your loyal customers to comment about how great your company is to work with. They can post to external sites like Yelp, or you can share their comments as testimonials on your website. Not only does it flatter your clients to be asked, but it adds to the authenticity of your brand too! This point can be a little tricky. It’s important to keep an eye on how your brand is performing across platforms and in the public eye. But particularly with social media, your customers (or even people who don’t know your brand) can post comments about your company. Hopefully, they are positive, but there is the potential for negative comments too. Take these comments with a grain of salt, and really think about where they are coming from. The golden rule of social media interaction here is to NEVER delete unfavourable comments, but simply state your case in a positive and polite manner, and see if you can bring the customer around to see your point of view. If the comments are particularly unfavourable, ‘kill them with kindness’ and try your hardest to provide a positive solution. If your business is a café, for example, invite the responder down to enjoy a free cup of coffee. Again, it’s the little things that matter most in these situations. “Tweet this”, “tag your friends”, “share this post”, “follow our page”, “subscribe to our channel”, “add us on Snapchat”. These are the social media calls to action that speak volumes! These links can get your content to the masses without you having to do a thing. Give the power to the people – your followers. Adding social sharing buttons to your website and content pieces increases the potential for social sharing significantly. Events and functions can provide speakers (like you) with great publicity opportunities. While this is a physical IRL event or function you will be attending, many occasions are now filmed, or even live streamed to listening audiences. Negotiate inbound links when devising the terms of sponsorships and appearances. The event/function will be sure to upload the video of your CEO speaking, and your organisations name will be accompanied beside it. Need a hand getting started? Download our FREE Inbound Marketing Methodology eBook for the ‘who’, ‘what’ and ‘why’ of inbound marketing strategy.